The brutal murder of the Russian Imperial family on the night of July 16–17, 1918 has long been a defining moment in world history. This book gives a riveting day-by-day account of the last fourteen days of their lives, as the conspiracy to kill them unfolded.In the vivid style of a TV documentary, Helen Rappaport reveals both the atmosphere inside the family’s claustrophobic prison and the political maneuverings of those who wished to save—or destroy—them. 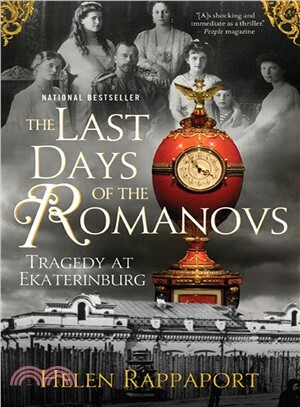 With the watching world and European monarchies proving incapable of saving the Romanovs, the narrative brings this tragic story to life in a compellingly new and dramatic way, culminating in a bloody night of horror in a cramped basement room. Helen Rappaport studied Russian at Leeds University and is a specialist in Russian and nineteenth-century women's history. She is the author No Place for Ladies and Conspirator: Lenin in Exile. She lives in Oxford.